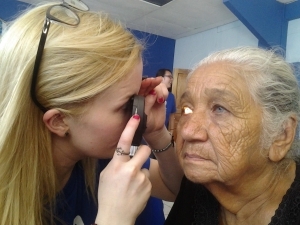 AMIGOS accomplishes these goals by embarking on several eye care missions to foreign countries each year. AMIGOS strives to provide a resource for continued care within the communities it serves. This plugs the patients into the existing health care system, and perpetuates a stronger health care program. THE PATIENT ALWAYS COMES FIRST. Personal and group goals are always subject to this creed. Thus, AMIGOS maintains high ethical standards with regard to patient care. For more information, view the AMIGOS Eye Care Bylaws.